Throughout 2015 and 2016 I played at Bucksgammon (in Chesham) twice a month, joined the London League and played in a number of major tournaments. I loved it, I loved sitting down opposite people who were far better than me and trying to soak up their advice – I have met so many friendly people who are happy to share their knowledge about the game. There is also a thrill in playing backgammon against a big name and it can happen if you enter a tournament or go along to the right club night. 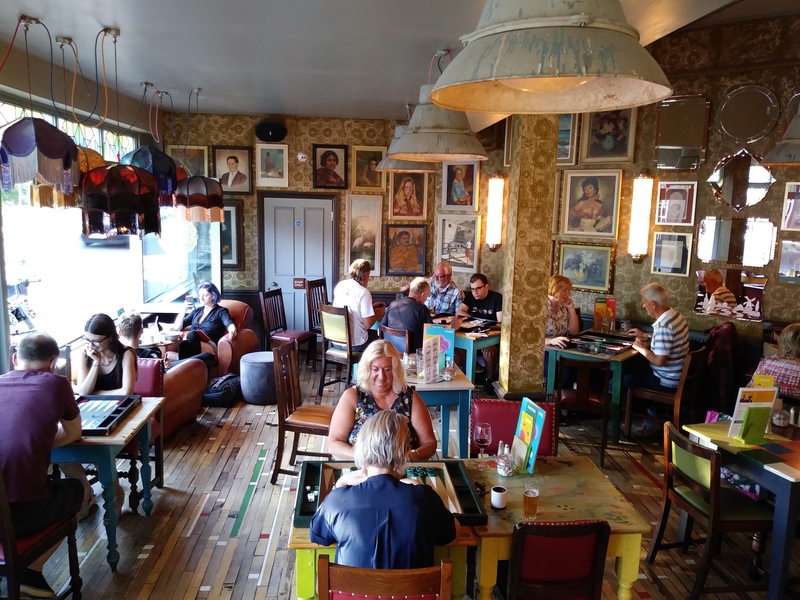 I was determined to organise some backgammon in Amersham and do my bit to grow the game but I wanted to offer something different to the other clubs in the area. My aim was to create an environment which would focus on open learning where new and experienced players could discuss the game without the distraction of “stakes”. After a false start at the end of 2016 (nobody turned up) I gave it another go in January 2017 and over the past 18 months we have built up a very nice group of men and women. Depending on the month we have an attendance of between 10 and 20 players and since we started we have managed to attract 26 people who have never played at a club before! We run no organised tournaments, results are not recorded and there are is no money involved. People are free to play whoever is waiting for a game. It is very relaxed, people turn up and leave when they like and we sometimes have 2 v 1 matches to ensure that nobody is left out. Players do not seem to mind that there is no overall “winner”, it just allows us to have more fun and it really brings out the social side of the game. So, clearly this is a plug for Amersham Backgammon but I also really wanted to encourage some of the big name backgammon players out there to pay us a visit once or twice a year. Remember when YOU started? How exciting was it when you played against someone you’d read about or heard a story about? Well, that’s now you! Since I started I have been pulverised by Powell, massacred by McAlpine and crushed by Cross – I want players at Amersham to have the same experience. Basically, if you are a good player who wants to have an evening off from cut-throat chouettes or chasing ratings then please consider making the short trip up the Metropolitan line to play backgammon with a group of people who would really appreciate it. We meet on the fourth Wednesday of every month at the Metro Lounge from 6pm. Actually, it’s not just Amersham is it, there are new clubs being formed all around the country. These clubs are going to be full of people who are just starting to get bitten by the backgammon bug. I promise you that a visit from one of the UK team, a player who has just done well in a major tournament, a member of the UKBGF board, anyone who loves to teach the game or someone who is near the top of the official ratings will definitely have an impact on these players and will help to grow backgammon in the UK. 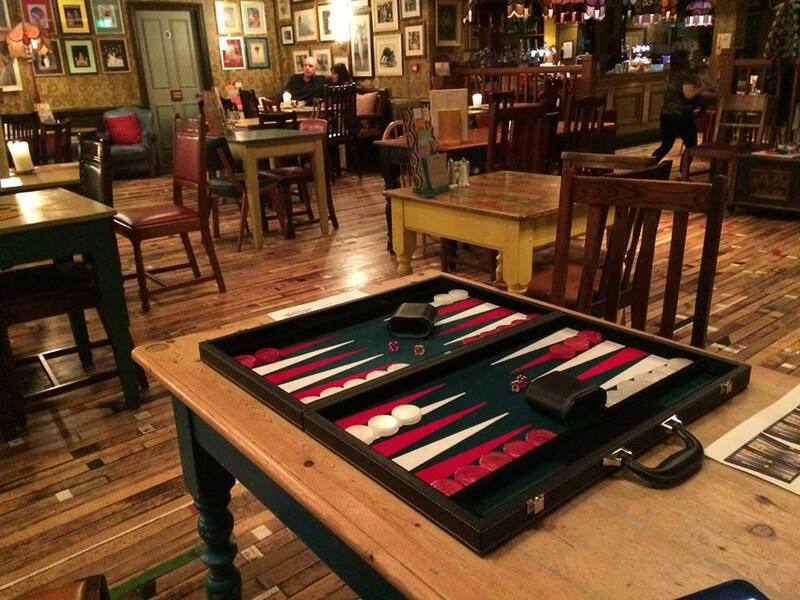 You can find Amersham Backgammon on Facebook here – do join for the latest updates. They also have a very professional email list for session reports and other interesting items – see here for a recent example. From starting up to reaching the last 8 of the Clubs Championship in eighteen months – that is a fantastic achievement, I’m sure readers will agree! As the TD / organiser of a new backgammon club, I agree very strongly with the sentiments expressed in Lawrence’s article. We also follow the ‘open playing’ format. New players are able to ask about the finer points of strategy, whilst experienced players are free from the worry of dropping down the ratings, and it is FUN to talk, laugh and commiserate about this wonderfully fickle game that has so captivated us all. I urge all experienced players to visit clubs such as Amersham and Thame. You don’t have to visit often (but we’d love it if you did!) and you can be confident of a warm welcome. I can also guarantee that you’ll be playing backgammon all night, even if you lose the first match! First prize was to play a 17 pt match vs Richard Biddle? What was the 2nd prize – two 17 pt matches? In all seriousness very nice article. A very interesting article. I have been part of setting up a club recently embracing the same principles and values with no stakes or rated matches. Talking, asking questions and seeking advice/opinions during play are all encouraged. We also meet on a Wednesday, which is a shame, as I would love to drop in to have a chat and a few games. Keep up the great work and any advice on how to attract new members, faster would be appreciated. Well done Laurence!! Very nice article too. May I share with All Backgammon Group on Facebook? Great article Laurence and a powerful argument promoting social rather than competitive backgammon. 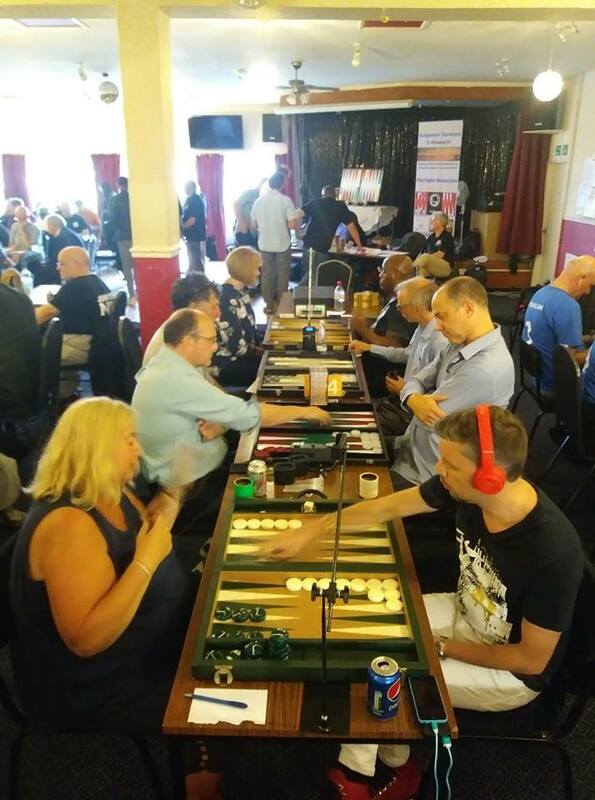 One of the problems I face when attempting to stay near the top of the UKBGF ratings is that I feel forced to play even new players with full intensity when I would love to be playing social backgammon and helping them if that help was welcome. Having said that it is noticeable from Laurence’s UKBGF ratings graph that he is already far from just a social player, there can’t be many players with such an upward momentum in their rating. If you fancy a visit from a Northerner I would love to come along to the club one day. Would be great to see you one of these months. I have seen your coaching in action when you and Derek knocked me out of the London Open doubles a couple of years ago. Yes, I am keen on promoting the social aspects of the game but I also appreciate that much of the appeal comes from testing yourself against another player. I am starting to realise that an Amersham session does not need to be exclusively one or the other. We certainly already have members who would love to play the odd match with something at stake. I think that ideally Amersham will become a place where people expect to play socially and to learn/teach but also where the occasional match can be played for ratings or small stakes if both players agree and at the discretion of the TD. Hopefully this sort of environment will appeal to players in your position and help you to juggle social and competitive play. You’d be very welcome at ThameGammon, Tim – fellow Northerners always welcome! Most of our members aren’t anywhere near Lawrence’s skill level and would love to benefit from playing a social game with you. Thank you Cheryl, would love to when bg world gets a bit quieter in a couple of months.